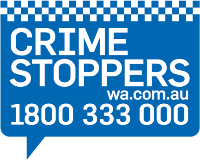 Neighbourhood Watch Australasia (NHWA) is the largest Australasian community based crime prevention program of its kind. Neighbourhood Watch Australasia is the overarching organisational body, embracing all Neighbourhood Watch programs in Australia and the Neighbourhood Support program of New Zealand. Neighbourhood Watch Australasia (NHWA) was constituted and incorporated in 2006 and received Australian Federal Government Funding in 2012 to support the NHWA mission of enabling safer and vibrant communities. The collaborative working structure of NHWA has developed a strong and supportive organisational and community network, intent on reducing crime and building safe, secure and confident communities across Australasia.With this vision, Neighbourhood Watch Australasia plays a pivotal active role in the support it provides to the community through the programs of Neighbourhood Watch and Neighbourhood Support in both Australia and New Zealand. The Board of Neighbourhood Watch Australasia meets quarterly and comprises of representatives of Police and Community Volunteers from all Australian States, Territories and New Zealand. For more information visit Neighborhood Watch Australasia.